Happy Cinco de Mayo! Although there are often common misconceptions about the holiday itself, (it actually isn't celebrated in Mexico, but by American Latinos who wanted freedom and racial equality during our Civil war) it's still fun to celebrate. Plus, in my book, any excuse to drink tequila and eat guacamole and consider it a holiday, is perfectly fine by me. If there's one thing I love, it's a good cocktail. Until recently, my cocktail-making experience only went as far as popping champagne and adding orange juice. But since we bought our home and added in a bar, I've been experimenting more and more. I have to say, it's pretty fun! 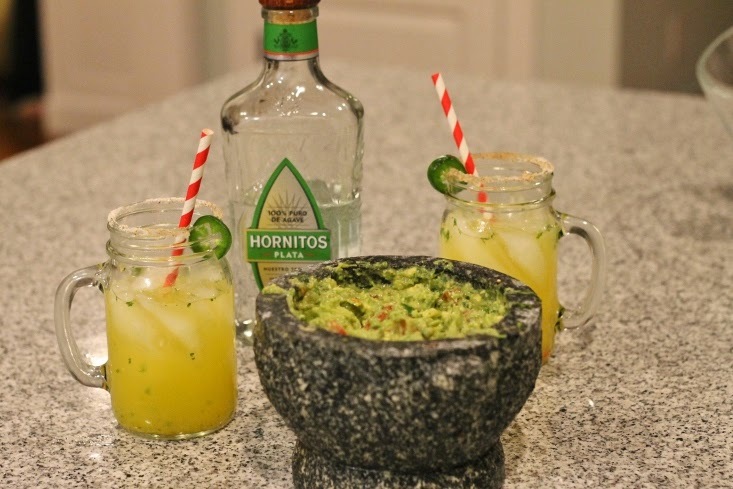 So when Hornitos asked me to create a "Not Just Any" cocktail recipe, I jumped at the chance! 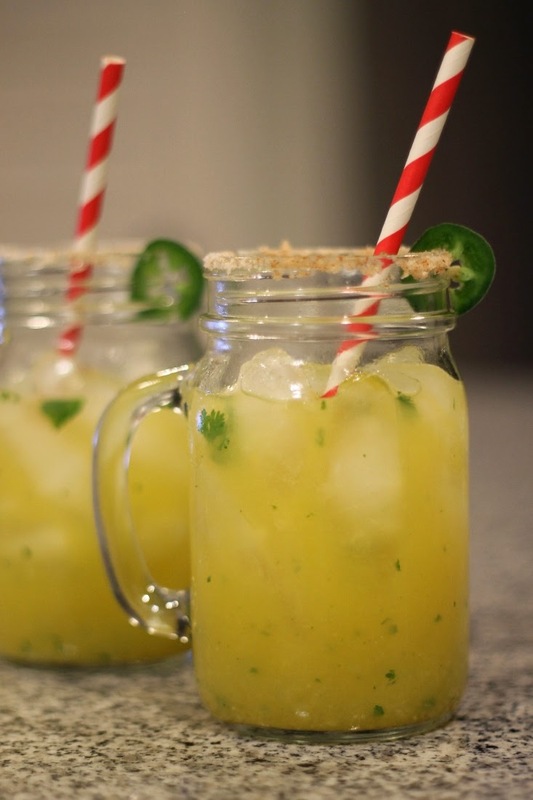 I don't know about you, but I'm full on obsessed with spicy drinks. 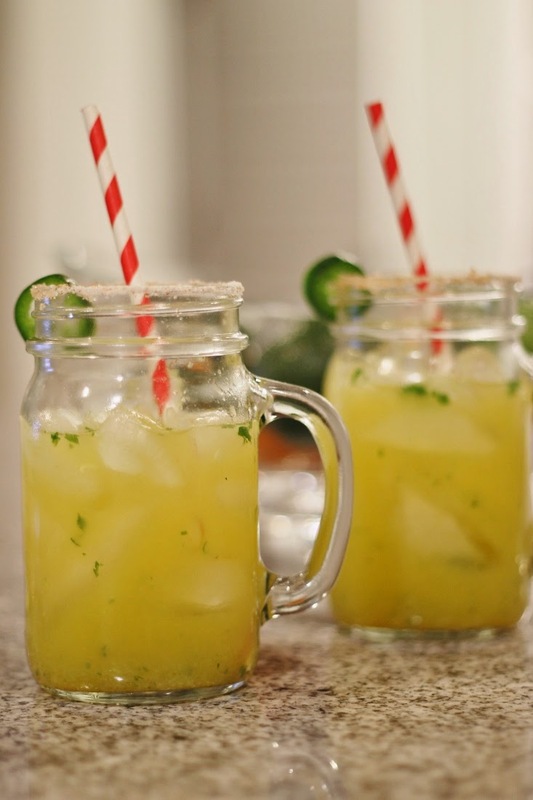 If it has Jalapeno or Spicy or Cayenne in the name, chances are I'm ordering it (and then several more after that) So I wanted to try created my own Jalapeno-infused tequila. It turns out, it's not as hard as you think! 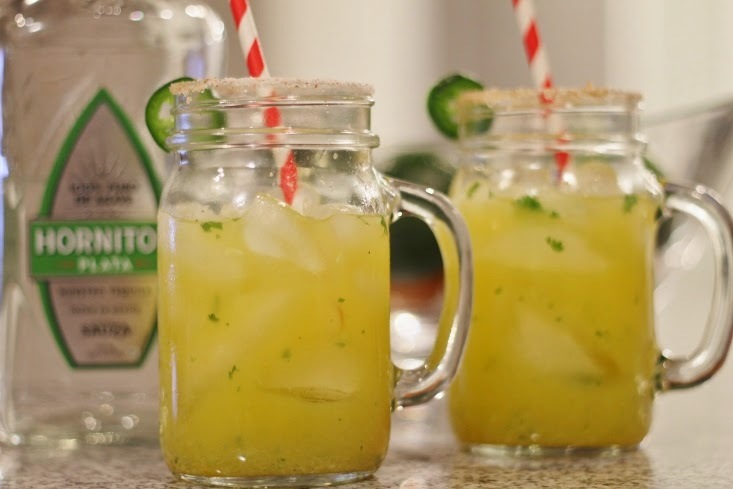 So check out how I created this Spicy Jalapeno Cucumber Cocktail and then you can re-create yours for your own Cinco de Mayo festivities! 1. Blister your jalapeno by grilling, broiling or roasting it over a gas flame. Stem the jalapeno and chop it. Add to about 2 cups of tequila (or more depending on how many people you're making this for) Let sit for at least an hour or up to a few days. 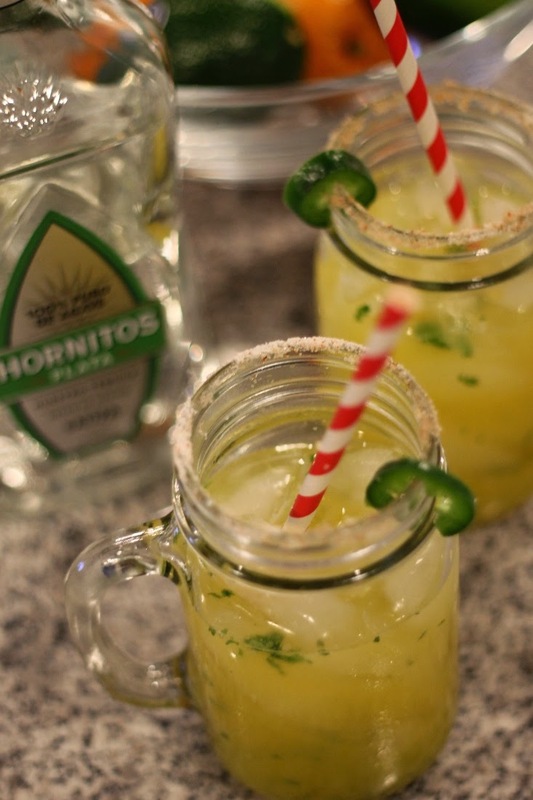 The longer the jalapenos sit, the spicier the tequila. 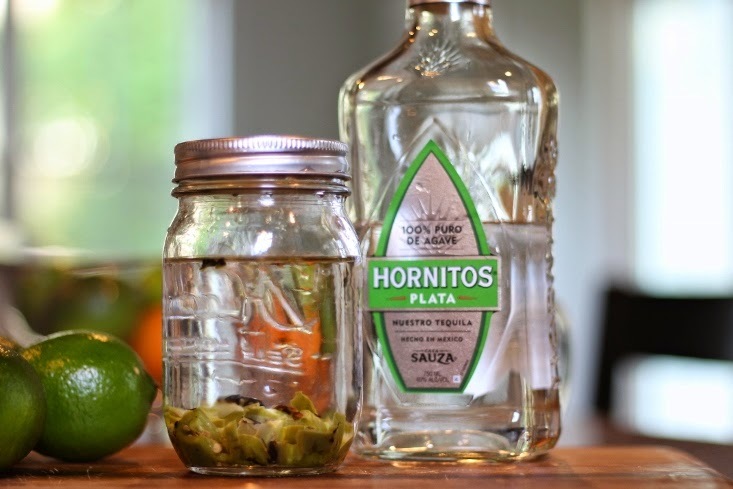 Separate the chilies and tequila through a mesh strainer. Discard the jalapenos. 2. Juice your limes and lemon until you have about 4 oz of each. This will create 2 drinks. 4. Shake all ingredients together. 5. Ring your glasses with either a Salt-Cayenne combo or Sugar-Cayenne combo. Strain your cocktail mixture evenly between the 2 glasses. The combination of the spicy jalapeno paired with the cool cucumber... Mmmm! Don't blame me if you plan to make quite a few of these. I know Bill & I enjoyed them! 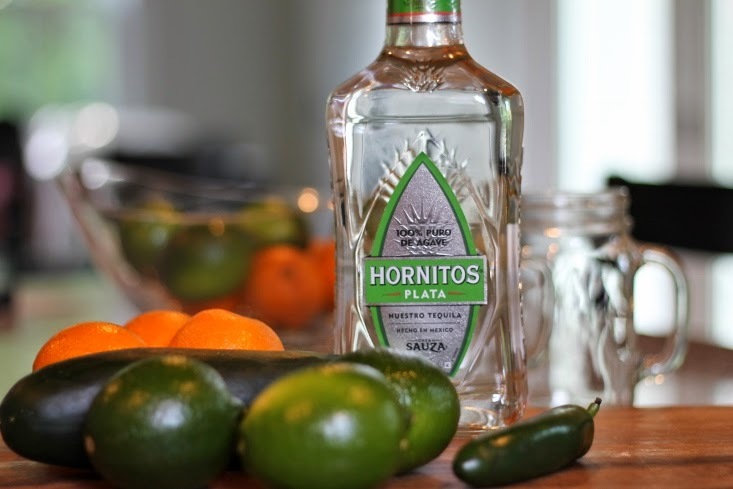 Disclosure: Compensation was provided by Hornitos via Mode Media. 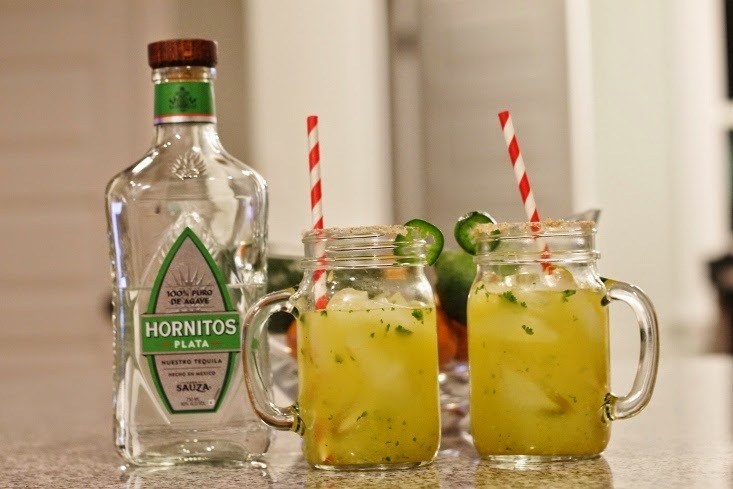 The opinions expressed herein are those of the author and are not indicative of the opinions or positions of Hornitos. I love all things Mexican food!